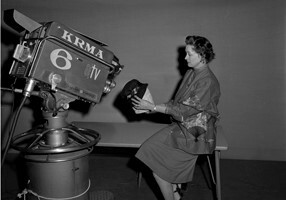 In 1959, KRMA-TV was barely 3 years old and licensed by Denver Public Schools. 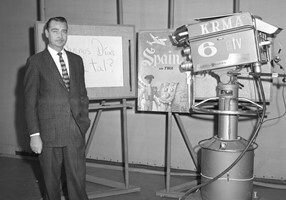 The March 1959 “Principal’s Bi-Weekly Bulletin” announced the ten most popular programs broadcast by KRMA at that time. Viewers gladly rated their favorite programs through letters and phone calls. The “Opportunity School Presents” live programs of SEWING SKILLS and FOODS received the two top ratings. They received 2,536 and 1,710 communications, respectively. 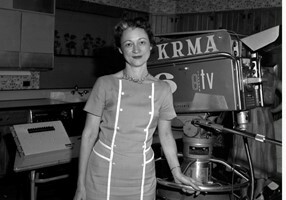 On one cooking show alone, 97 phone calls were received within an hour of the time KRMA-TV went off the air. The results indicated that home viewers were thirsty for homemaking skills and general knowledge while local schools welcomed the opportunity to teach foreign languages to their students. Enjoy taking a look at what these programs were all about! 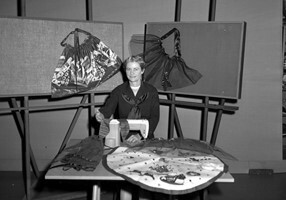 The purpose of this series was to teach tailoring techniques that could be applied to all tailored garments. 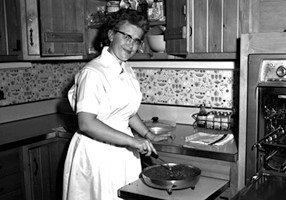 Preparation of specific meals and meal planning were the primary topics of this program. Studio A had a full kitchen within the studio allowing cooking demonstrations to be very realistic. Aired Tuesdays and Thursday nights at 8:30 pm. 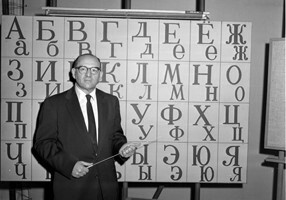 The program covered Russian literature, weather and geography along with writing the Russian alphabet and more. 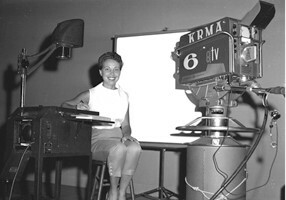 This program was the first large scale telecast directly to classrooms in Denver and was developed for in-school viewing. 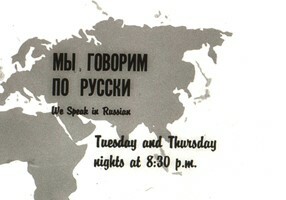 The program aired on Mondays, Wednesdays, & Fridays and again at night alternating with French language programs. Instructor, Mr. Paul O’Leary, provided guides to participating schools where teachers reviewed the classes and gave students an opportunity to ask questions. Over 2,000 Denver Public School children in 45 schools learned Spanish from Paul O’Leary. DPS purchased televisions for all 45 schools so they could view the televised lessons. This lively unscripted program featured authors, panelists and others discussing their newly published books. 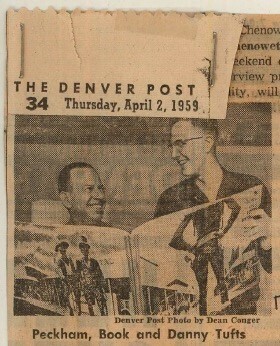 On March 22, 1959, Mr. Peckham announced on the air and in The Denver Post that he would be having a “Bookpot” in which he would give away books to his TV audience. Peckham said he would do this “as long as the publishers and others keep contributing books.” This clever promotion also helped determine how many viewers were watching the program. Mr. Peckham received an avalanche of 620 post cards requesting free books after announcing the “Bookpot” on his program. Although several photographs are in the archives, no details about the program have been archived. “Francais pour Vous”,French for You, was a conversational French course that offered a $1 study guide for tele-students. The course was televised directly to classrooms. The biggest obstacle to televising to more schools was that many schools did not have TVs. Ms. Morrison lived in Paris when she was very young and attended school in Italy, Switzerland and England as well as the International College for Girls at Cannes, France. 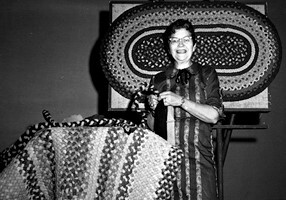 During WWII, Ms. Morrison acted as an interpreter and was a club director for the American Red Cross. Ms. Morrison appeared in several local plays at both the Bonfils and Elitch Theatres. The purpose of the series, produced in cooperation with the Business Education Department of Opportunity School, was to increase the speed and ability of students to take dictation. 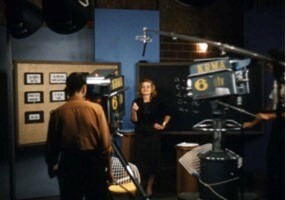 This program was designed to follow the just-concluded “Short-hand Simplified” course on KRMA and Ms. Price hoped her television audience would increase their dictation speed from 80-120 words a minute. Requests were filled for 236 shorthand study kits. The $7 kits contained a textbook and other necessary course materials. A partial kit with all materials except the textbook sold for the reduced price of $3.50.